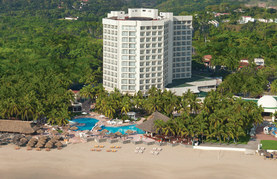 The laid back, beach town of Ixtapa lies on the sunny coast of the Mexican Riviera. Visitors come here every year to experience the warm hospitality and natural beauty. Come here for a romantic escape, a getaway with friends, or an unforgettable family vacation. Play a round of golf, relax in the spa, splash around the waterpark, go diving or snorkelling, visit the marina or wildlife refuge or discover the historic ruins. 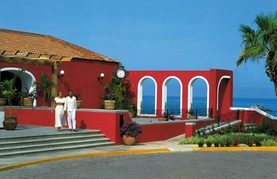 Being an artistic town, Ixtapa is known for its art galleries, local museums, and shopping areas.